It doesn’t matter if it’s the middle of winter or the height of summer, there are always Outer Banks activities available. Life has changed quite a bit on these barrier islands over the past couple of decades. It used to be that the main Outer Banks activities began on Memorial Day and finished right after the last Labor Day visitor headed home. But now there are programs available on the Outer Banks year round to entertain your whims, broaden your mind, invigorate your body or sweeten your soul. Most of the Outer Banks activities focus on our glorious natural playground that offers sea and sound waters, vast open skies, giant sand dunes, woods and nature preserves filled with wildlife. 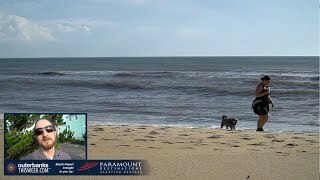 The geography of the Outer Banks is unlike that of any other place in the world, and many Outer Banks activities take advantage of this defining factor. You can check out Jockey’s Ridge State Park or one of the several nature preserves located in the area. Or seize the chance to get your toes wet with paddle trips, surf lessons or fishing expeditions in the ocean and sound. 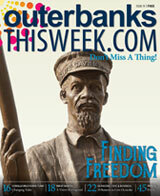 Outer Banks programs are also rich with the area’s local history and culture. Visit the settlement site of the Lost Colony and come up with your own idea of what really happened to the settlers. For a taste of the beach in the 1920s, check out the historic Whalehead Club and surrounding village in Corolla. Don’t forget that Outer Banks activities are frequently ones that the whole family can enjoy. Parents and kids can learn important skills ranging from swim lessons to surf techniques to crabbing. Now that you know that Outer Banks activities extend beyond building sandcastles and body surfing, there’s no excuse not to add a little variety to your vacation. Check the listings below to find what you can do and where you can do it. Stand up Paddle Board the OBX! Receive a complimentary bottle of wine at check-in just for liking us on Facebook! Outer Banks attractions & things to do are detailed in our destination guides. Choose your area of interest to view complete info for Outer Banks attractions or thing to do in your area.